Berlin has been amazing. There is so much to see and do you could probably fill up a couple weeks. After feeling rundown the first few days I arrived, I was refreshed and stared to fall into a groove. I think extending my time here by a few days and taking it easy, only visiting a couple sites a day really helped. I finally decided to buy a new camera. It gives the budget quite a hit, but it was too early in the trip to go without a good camera. Getting out and taking photos was a big part of my plans. They didn’t have the exact model of my camera in stock in all of Berlin, so I opted to step down a model to the Fuji X-T20. It uses all the same accessories – lenses, batteries, chargers, and the like. Which is good. It also has the same image quality which is most important to me. It’s a bit smaller which has it’s good and bad aspects and lacks a few bells and whistles, but is very nice and I’m happy with the purchase. 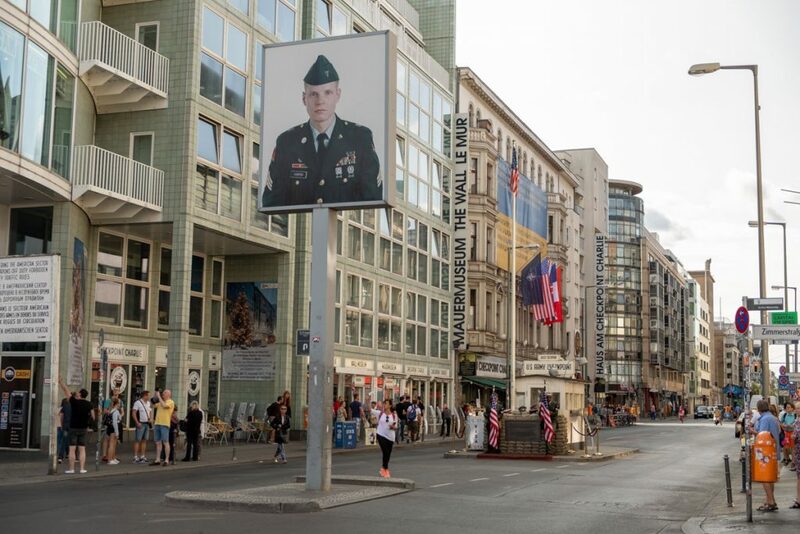 The last few sights I chose to see before heading off to Prague was Check Point Charlie and Typography of Terror. A Cold War and a WWII site. Like many before me, I think I’ve finally reached my limit of Nazi’s and Communists. It will be nice to see some castles and palaces again. 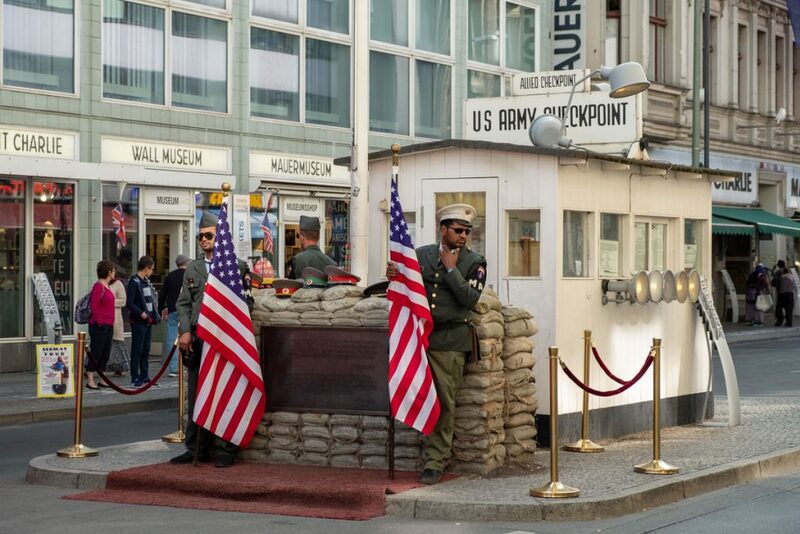 Check Point Charlie, for those who don’t know, was a border crossing station between East and West Berlin. Today it is a tourist trap, with guys dressed up in American Army uniforms asking for money to take photos with tourists. Not much to see, so I grabbed a photo and moved on to the next stop. 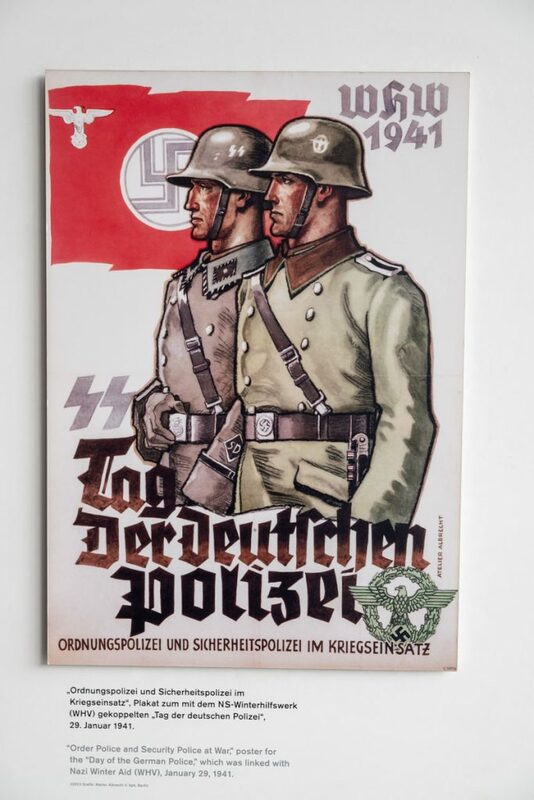 The Typography of Terror is a museum that covers the rise of the Nazi’s with a focus on the police state, Gestapo, and the S.S. 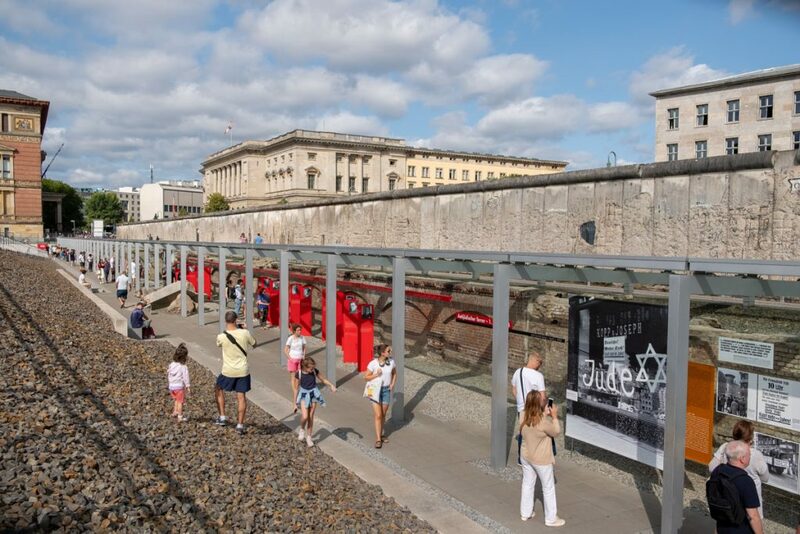 It is built on the grounds of the former Gestapo headquarters. 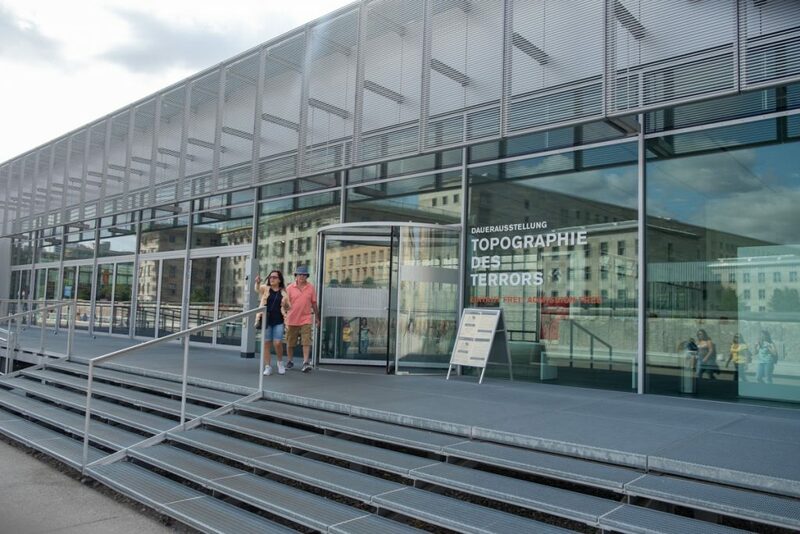 The Gestapo building has long since destroyed, and the museum is set in it’s own modern building. It’s all fascinating stuff, but after visiting the museums at Nuremberg and Dachau, I felt that most of it covered the same material I’d seen before. There is an outside portion to the museum which is set in the foundation of the former HQ. 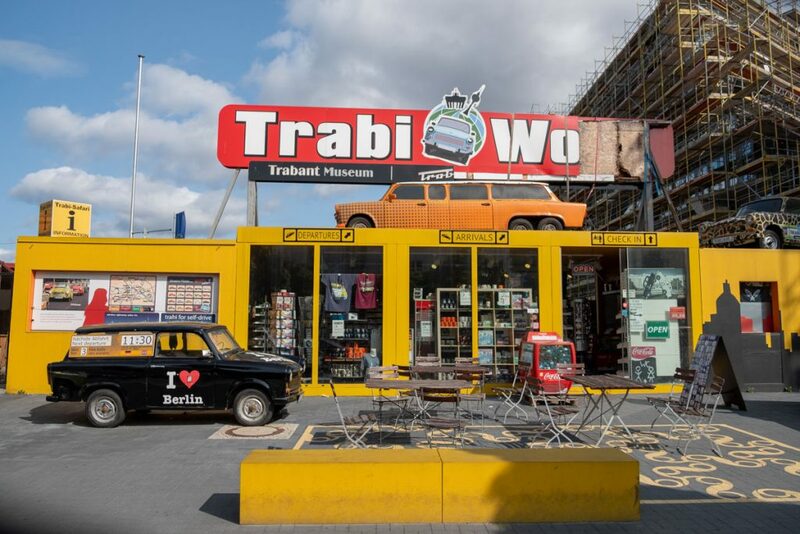 On the walk back to the subway station, I spotted the Trabi Museum. It looks a little worse for wear and probably doesn’t get many visitors. The Trabi was the car to have if you lived in East Berlin. You could have any type of car you wanted as long as it was a Trabi. 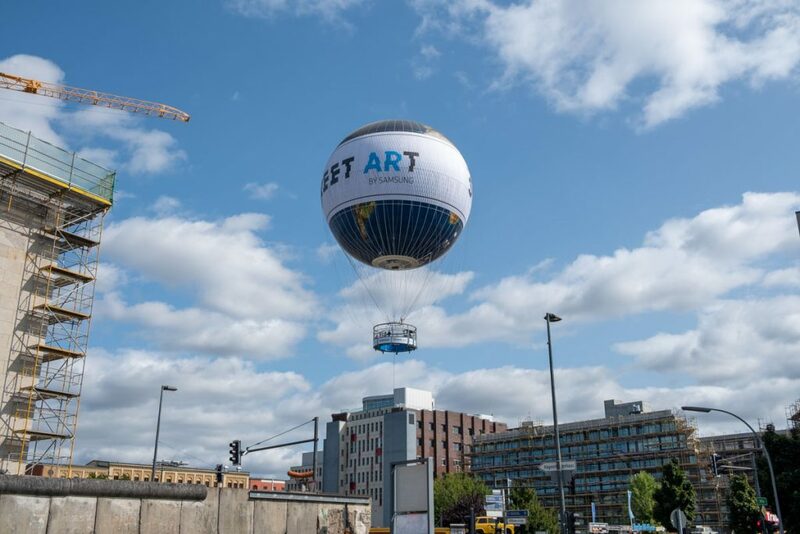 For days I’d been seeing a hot air balloon hovering over the city. Turns out just behind the Trabi museum is where it takes off from. It gives what I assume are amazing views of the city. People with fear of heights need not apply. Berlin is over and it’s on to Prague!